If you’ve been following me for a while you know it’s no secret that I have a HUGE black thumb. But I loooove to decorate our home with plants and sometimes the real ones just look so much better. I don’t even want to know how many plants I’ve killed in the past few years, but I’d definitely need more than my two hands to count. 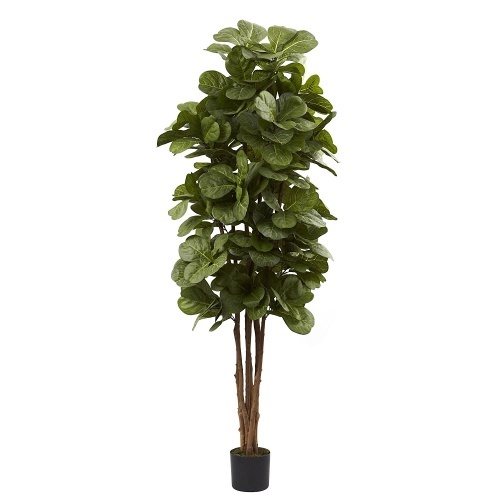 I just hate when a fake plant looks fake, and it can be hard to find ones that actually look real. 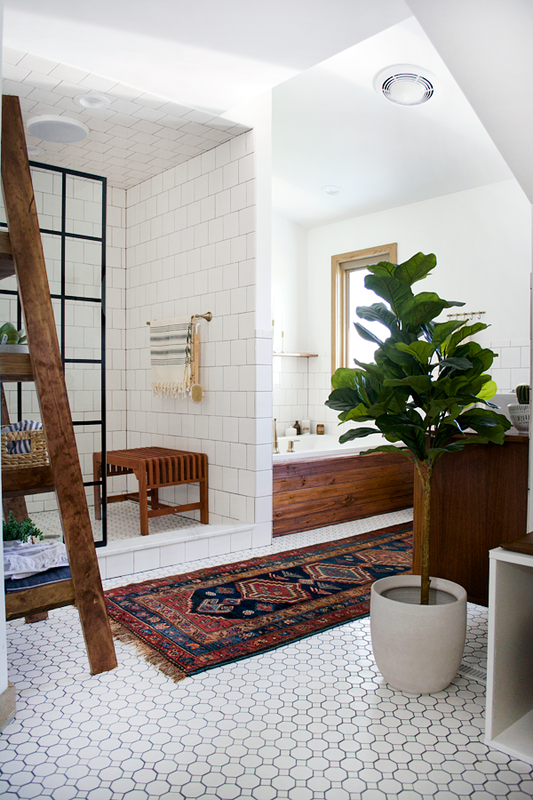 Especially the ever popular fiddle leaf fig. They’re so pretty and all the rage lately, but are insanely tricky to keep alive. We hardly ever have them in our area anyway which I suppose is a good thing – except the one I found earlier this year (don’t ask how it’s doing). 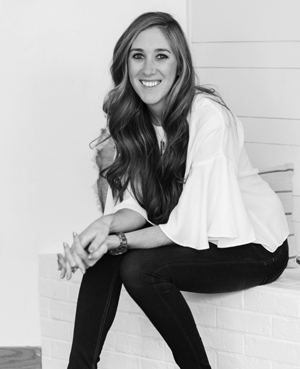 So I’ve purchased a few faux ones that I really love and I get a lot of questions about them on instagram, so I thought I’d share a little roundup for you! This was the first ever faux fiddle I bought. It’s in our bedroom and has moved around a little bit but it’s perfect if you’re looking for something simple and not too bulky. 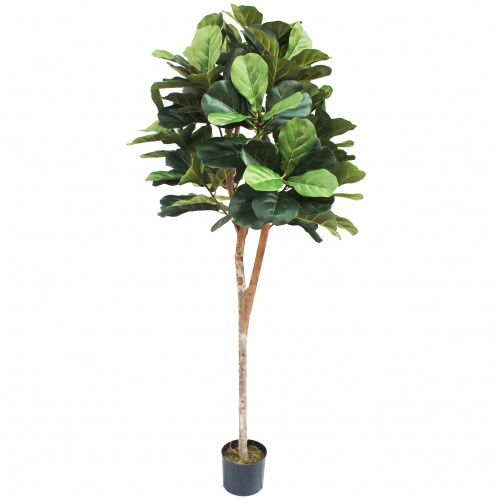 It’s definitely not a super full bush, but you can bend down the branches a bit so it’s not as tall and skinny. Here he is in our room – I put him in a basket I found at HomeGoods. Hayneedle also sells a larger version which is on sale right now for $82.78 which is a STEAL. You can buy that one HERE. This guy is a 6 footer and if you like the fuller look on top with a bare stem on the bottom then this is your guy. Very similar to the one above, just taller and fuller! 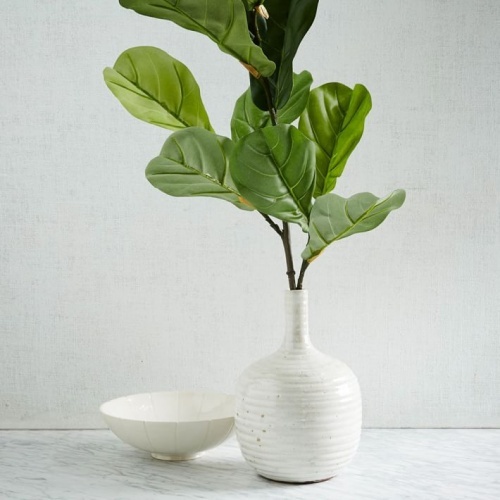 If you want a smaller branch to put in a vase on top of a dresser or table, this guy is perfect. 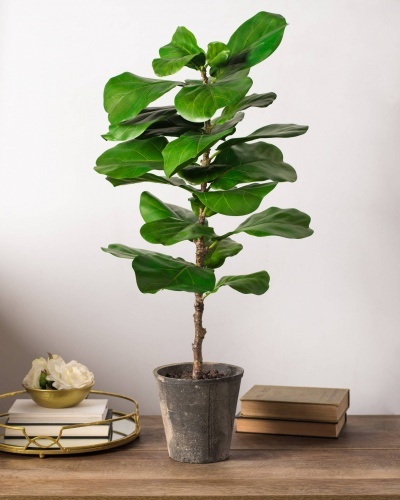 This one is a little bigger than the branch above and comes in a pot – perfect for on the ground or on top of a little planter or table. This is another little guy that got great reviews and you can check out the customer photos to see exactly how it looks. 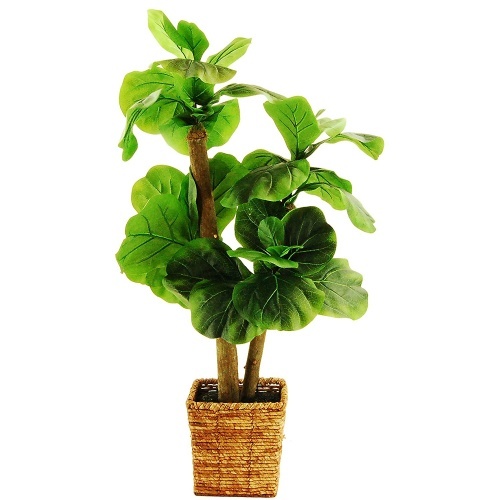 Amazon also sells this large and realistic faux fiddle leaf fig that I mentioned above for a few bucks cheaper. Along with these guys online, I’ve had great luck finding them at Michaels and HomeGoods. Target also sells some but if you ask me, they’re overpriced and look super fake. This guy in our bathroom is from Michael’s and I’m so mad I didn’t buy more when I had the chance. I haven’t seen them back there in a while but you never know when they might pop up! With coups, I think I got it for around $40. This is perfect. 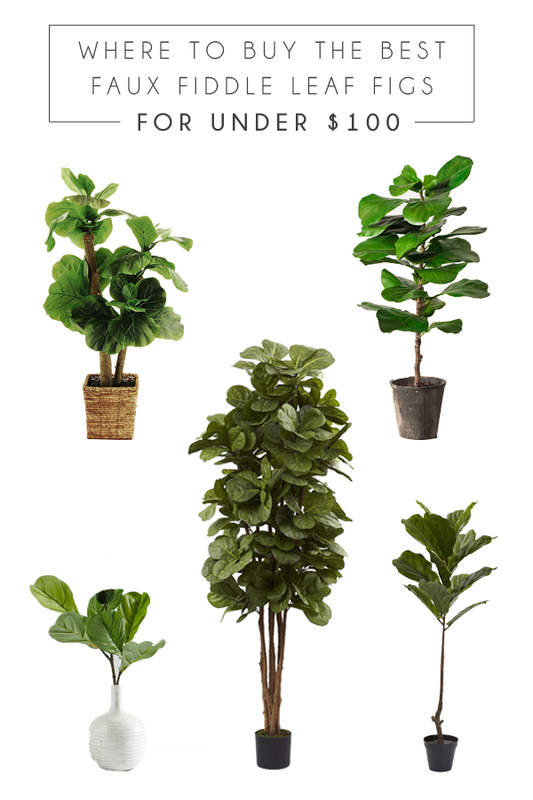 I can’t keep a plant alive to save my life, and all of the fiddle leaf fig trees in my area have been too expensive for me to gamble my green thumb skills on. 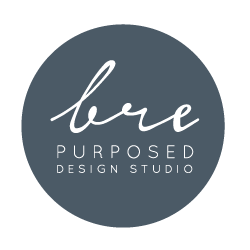 I’ve been thinking about getting a faux tree, but all of the ones I’ve been looking at have been upwards of $300, so your post came just in time for me! Yay so glad to hear that! I didn’t want to spend $$$ on one either, so all these options are perfect! Happy shopping! It’s so cool. 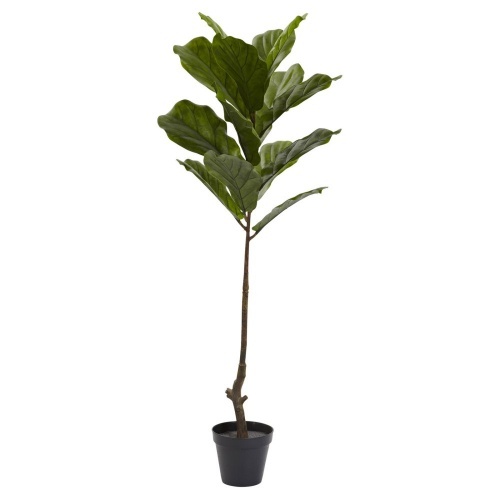 I love Fiddle Leaf Tree, it small but cool for my guest room. My friends will love it. 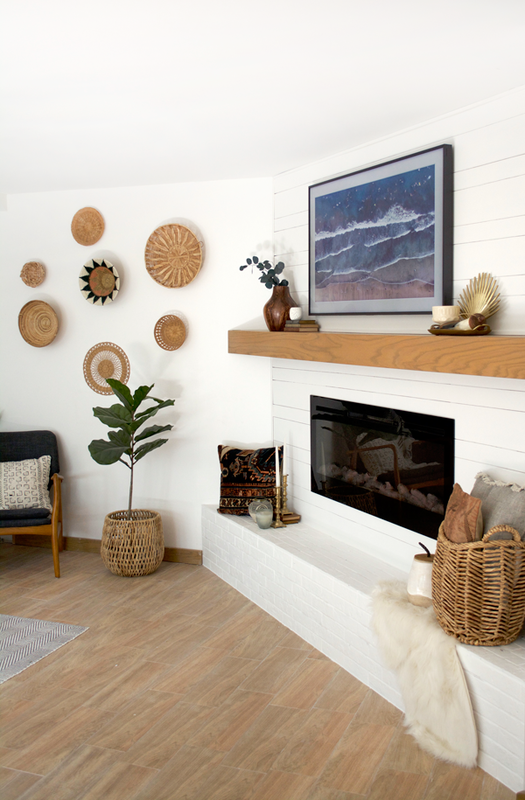 The Balsam Hills version is a dead ringer for the one we have in our living room, and is MUCH less expensive! Thanks for rounding these up! Glad to hear that! There are some super affordable options out there!